The Embraer ERJ 190/195 is a narrow-body, twin-engine jet airliner manufactured by Embraer, a Brazilian aerospace company. The ERJ 190 seats 98 passengers, whilst the further stretched Embraer 195 (+2.41m /7ft 11in longer than the 190), van seat 108. 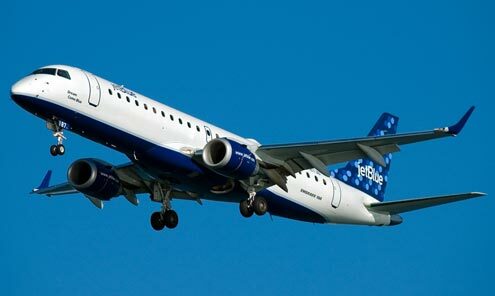 The Embraer 190 made the first flight in March 2004, followed by the 195 in December the same year. All variants are offered in standard and LR (long range) variants.